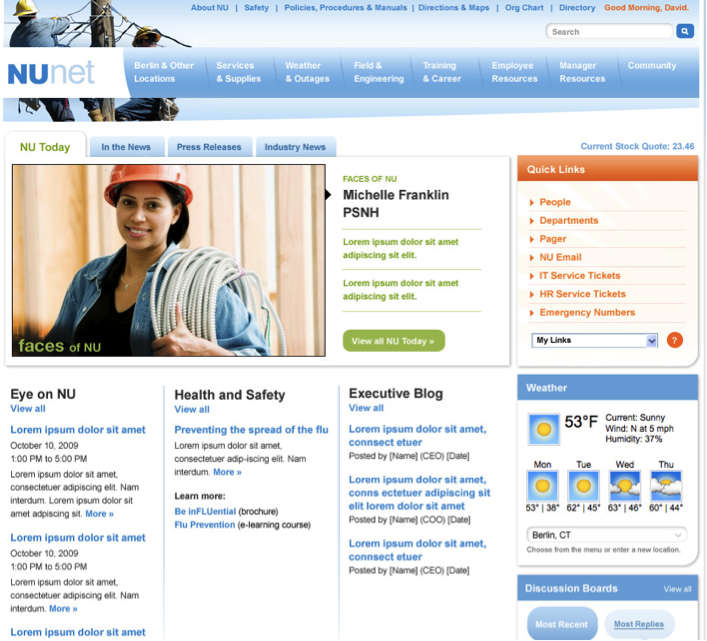 Northeast Utilities needed iFactory to provide them with strategy, design and information architecture services in an effort to revamp their enterprise-wide intranet (NUnet). The goal was to foster internal collaboration, improve communication between/among different departments and operating companies within Northeast Utilities, and increase the productivity and efficiency of its employees. iFactory designed the Northeast Utilities intranet. Contact iFactory to learn how we can help your organization expand its web presence and grow its digital footprint.